The last staple dessert found at any Thanksgiving meal is pumpkin pie, but even after eating way too much of it, Thanksgiving will not be the last of the pumpkin desserts. 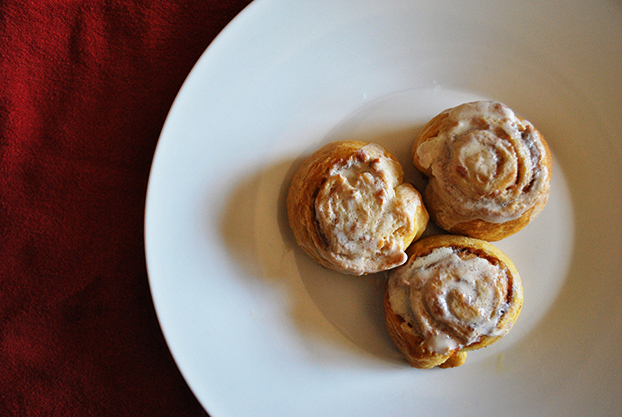 Put a twist on the fall-favorite pumpkin flavor by combining cinnamon with a pumpkin pie filling. This will make the flavors pop and bring out a side of the pumpkin pie that you’ve never seen before. 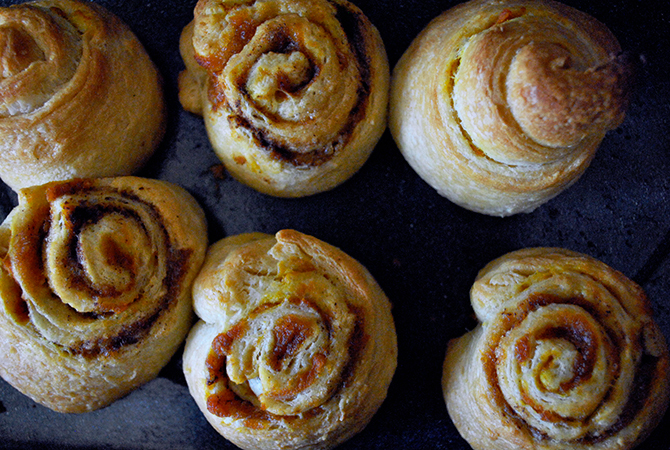 Using Pillsbury crescent dough makes this recipe super easy and fun to make. They can be eaten as dessert or even for breakfast. 2. 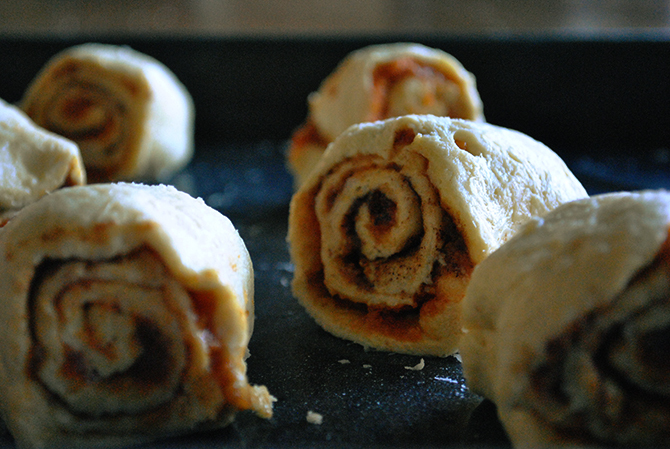 Unroll crescent dough onto a cookie sheet. 3. Spread pumpkin butter evenly onto the dough. 4. Sprinkle brown sugar and cinnamon evenly on top of the pumpkin butter. 5. Carefully roll the dough to form a log. 6. Use a serrated knife or string to cut the roll into even pieces. 7. Place slices cut downwards onto a greased tray. 8. Bake 18 to 20 minutes or until golden brown. The original recipe, along with a cream cheese frosting recipe, can be found at Two Peas and Their Pod.